In need of a new kitchen, bathroom or Bedroom? Established in Exmouth over twenty years we have built on our success providing top quality design, fitting and customer service to people throughout the South West. In order to ensure that your high expectations are matched, we use only the very best products from leading manufacturers in the industry and use our own in house tradesmen to carry out all work. 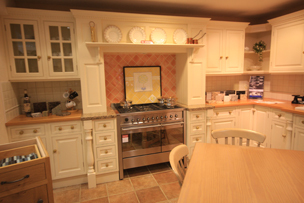 We have in-house kitchen fitters ready to be at your service. We also have our own plumbers, plasterers and tillers all of whom are fully qualified. They are dedicated to providing you with a high quality finished sleek design. 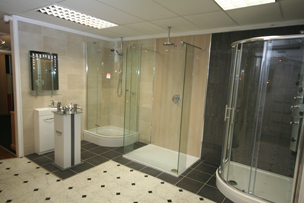 We will combine our excellent bathroom designs and the best quality appliances and fixtures. You will soon have a bathroom that you can be proud of. Our in-house tillers will be there to give your bathroom the added personal touch that it deserves. Making sure your bedroom is top notch, attention to detail is of paramount importance to us and we will make sure we do everything to ensure that you get the bedroom that you deserve. 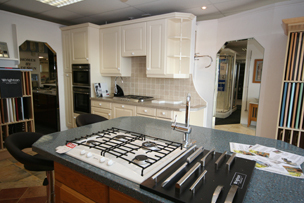 We employ friendly, knowledgeable staff, who, have excellent customer service they can be found in our showroom. which is why our kitchens are beautiful!"